There are a lot of various tools to convert video to specified formats to be played on any device. 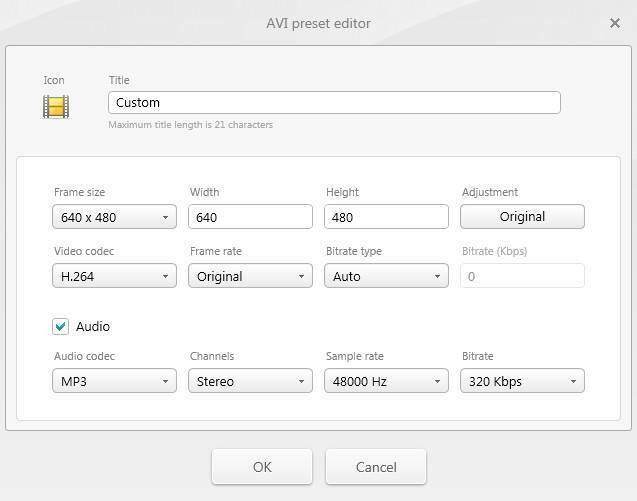 The following converters support a great variety of formats like WMV, MP4 AVI, FLV, MOV, etc. 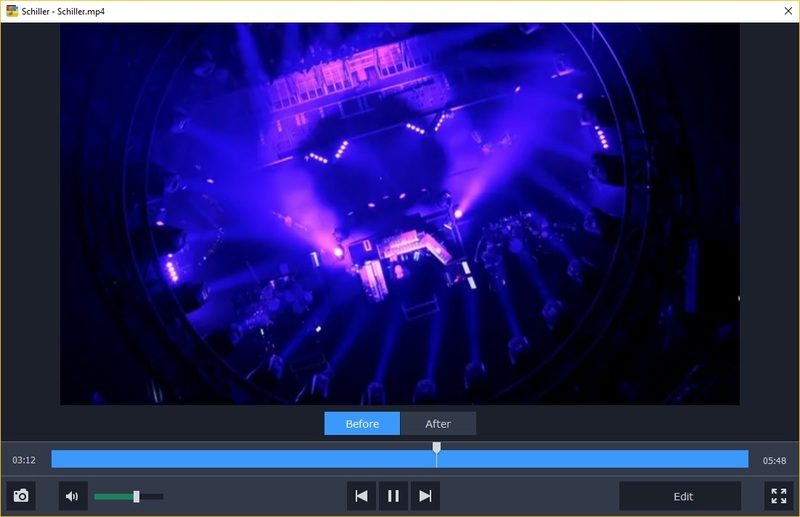 Moreover, they offer editing tools to split, merge, crop and rotate videos. Editing tools ? Split, join and merge videos. Wondershare Video Converter Ultimate available for Windows and Macintosh computers transforms videos to over 1000 formats with the possibility of video editing. 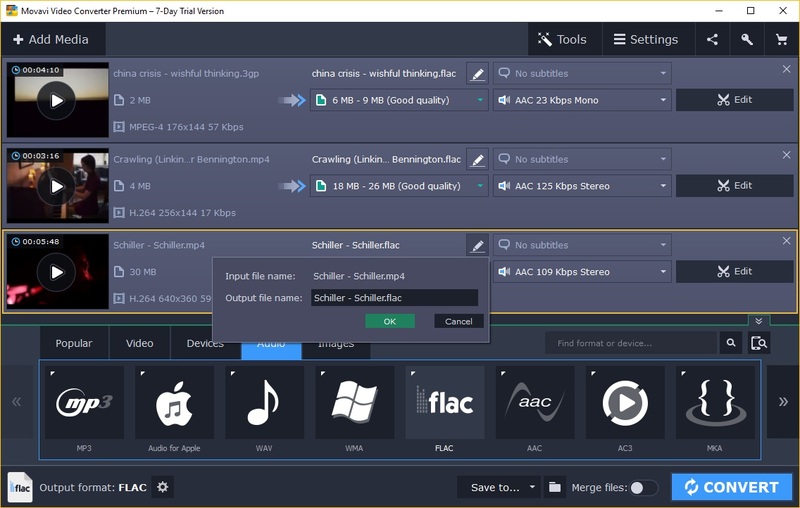 Also, the tool helps you to create and edit DVD files. Moreover, it can download and record 4K videos from popular online web services, including YouTube and Dailymotion. It is possible to test the tool by downloading its limited trial version. To remove all the limitations you will need to purchase a license, the one for a year costs $39.95, while the lifetime license is $49.95. Support for all kind of devices. Downloads and records online videos. Records desktop activities with voice. Fixes metadata info for videos. 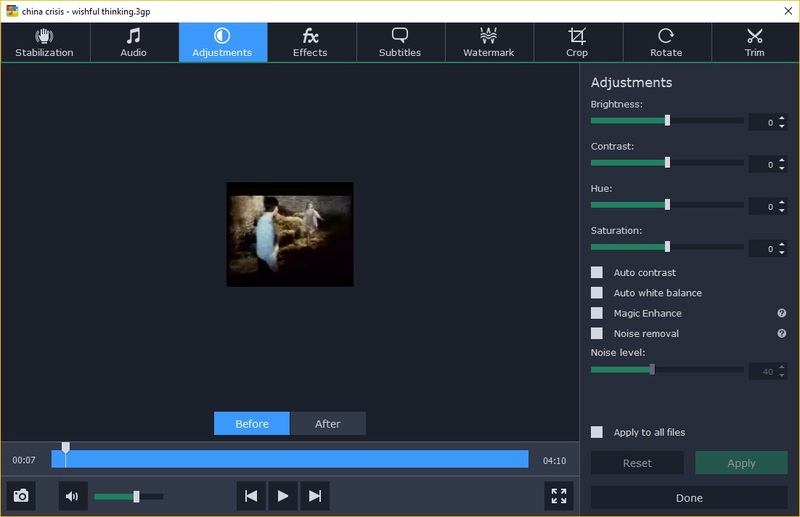 Creates GIF files from your video and photos. Casts videos to TV as a media server. Transfers files to your connected device. Localized to a few languages. The trial version converts only 1/3 of a file and records 1 min of online video. Any Video Converter easily converts your videos to watch them on mobile devices. Also, it downloads videos from Youtube and burns them to DVD. The program allows video clipping and cropping, as well as adding special effects. 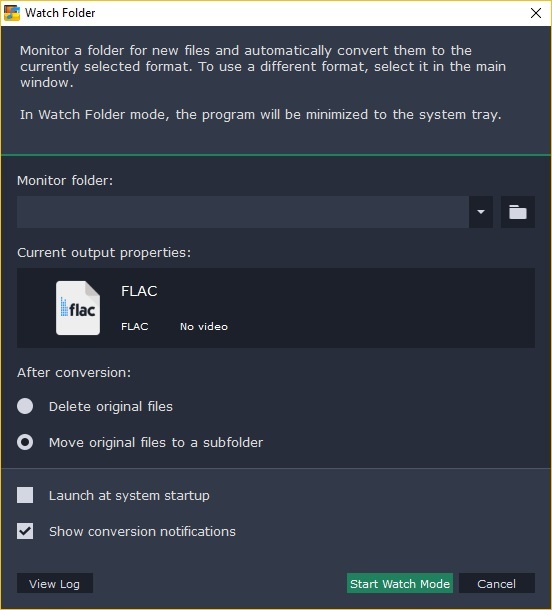 The converter is absolutely free for both Windows and Mac users. 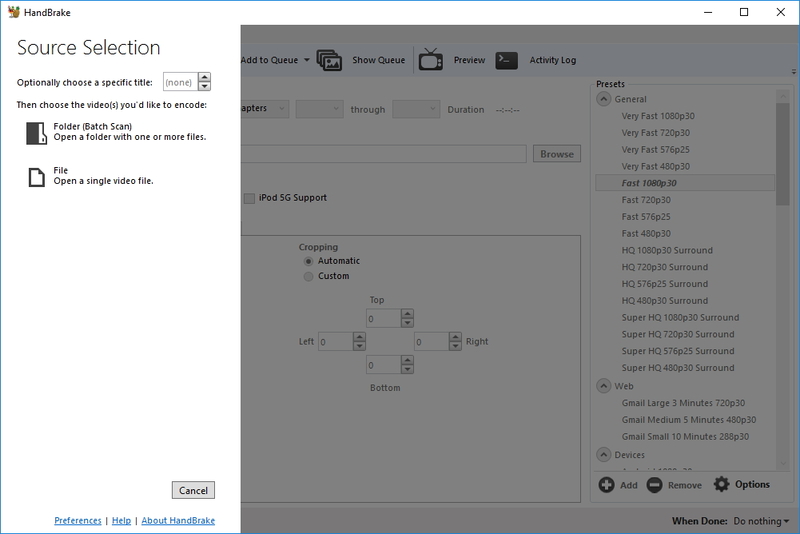 Support for over 100 inputs and 160 outputs. 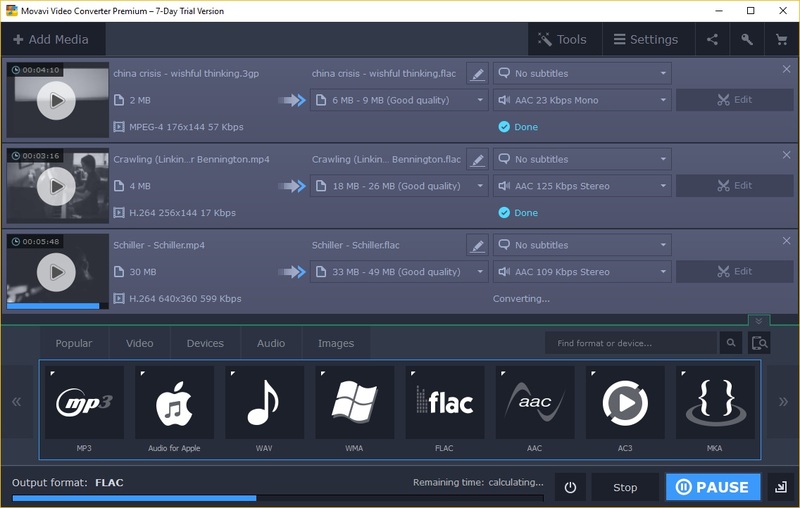 Converting between numerous audio formats. Video editing tools and DVD burner. Audio CD ripper and video to audio converter. Enables adding watermarks, and special effects. Provides highest HEVC/H.265 video coding efficiency. Supports a great variety of devices. The number of files that can be converted simultaneously is limited to 5. 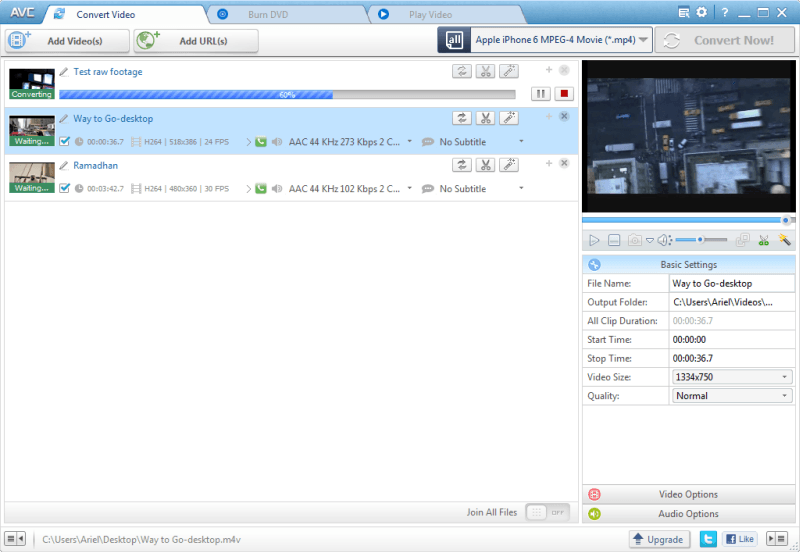 It supports over 500 formats, including MP4, AVI, MKV, WMV, DVD, 3GP, SWF, FLV, HD, MOV, etc. 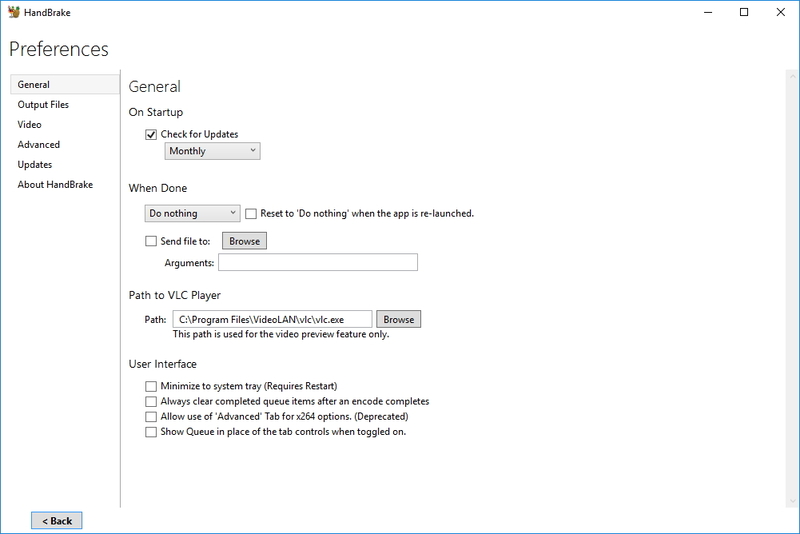 It also converts video clips from Youtube, Dailymotion, Vevo, etc. The tool works on all Windows versions, offered to be downloaded for free, but has paid packs to get all its advantages. Ready profiles for Apple, Windows, Google Android, Sony PSP, and other phones, tablets, consoles. Converts 4K and Full HD video without quality loss. Uploads video clips to websites. Adds a freemake logo at the beginning and at the end of your converted videos, if you don't have a paid gold pack. Online videos conversion and high-speed conversion are available after buying a web pack. Converting videos with subtitles and editing them requires buying a subtitles pack. 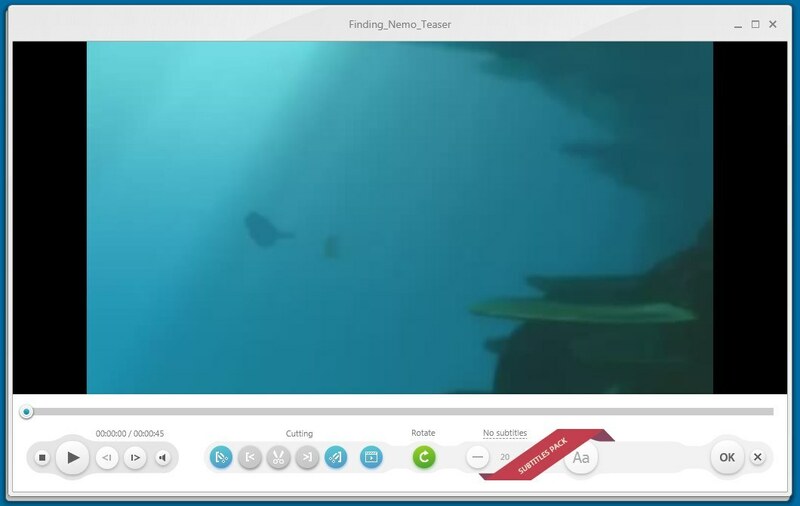 It converts the format of your video files to the ones recognized by your smartphone, tablet, and TV. It provides very fast conversion speed and offers video editing tools, audio extractor and converter, as well as image files converter and editor. You can download its 7-days trial before buying the converter for $20.29. Windows and Mac versions are available. Support for more than 180 media formats. Over 200 preprogrammed conversion profiles. Probably, the fastest video converter. Built-in image files converter and editor. Does not convert online videos. 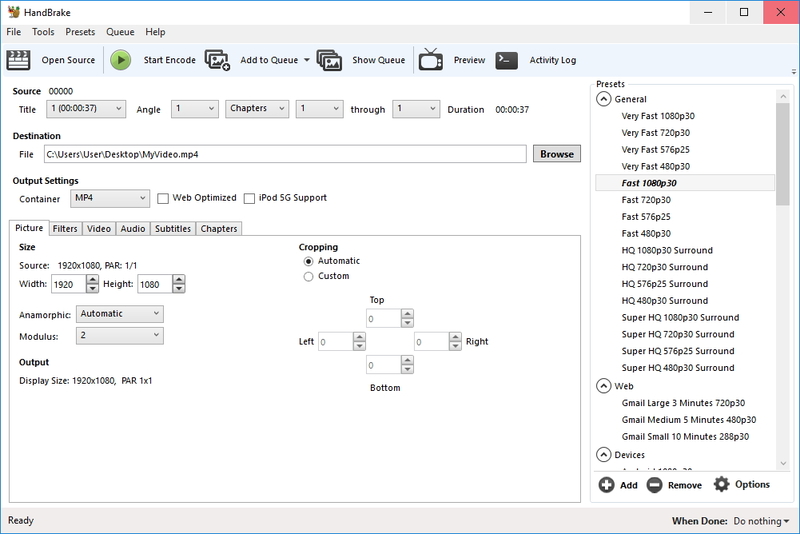 It switches videos from one format to another and has built-in device presets for a quick choice and customizable options to improve your encodes. 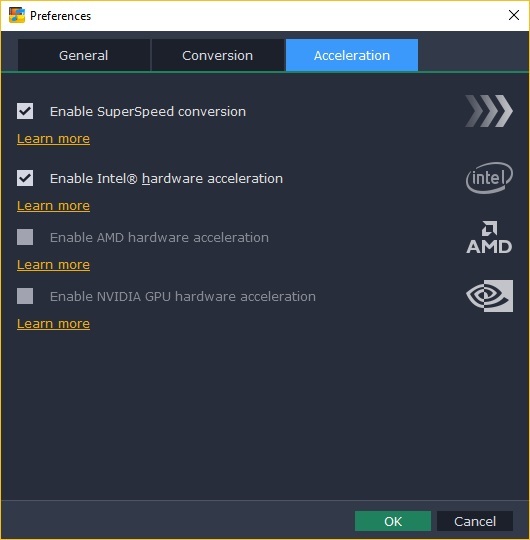 As most of converters, it allows hardware acceleration and supports converting of several files at once. Handbrake is an open-source tool that originally was programmed for Mac, but later there appeared Windows and Linux versions. Video filters like Deinterlacing, Denoise, Grayscale, Cropping, etc. Support for VFR and CFR video. Not available for the older Windows versions, like Vista and XP. Not easy to use for novices. To conclude, we should say that most of modern converters do satisfy all the customers' wishes. Talking about the compared converters, we definitely prefer Any Video Converter Free, as it offers all the main features and tools, does its job great, and is totally free. 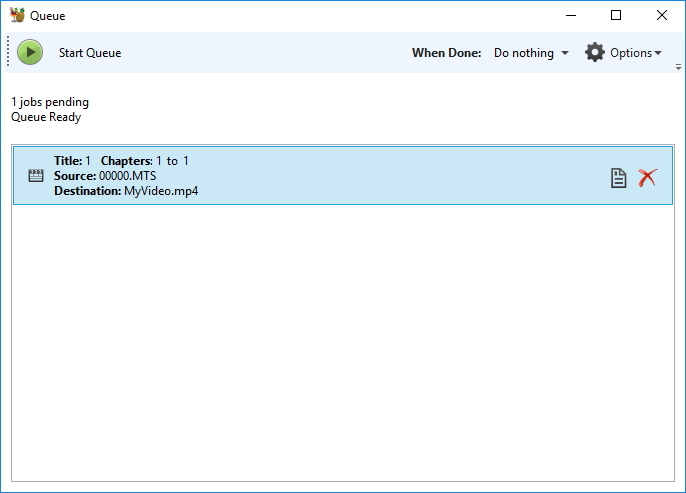 But if you need some extra tools and options and are ready to pay some money, we would advise the worthwhile Wondershare Video Converter Ultimate. Do you have a need to change the format of your video files? Tell us what program do you use for it and why. Share your experience, and we'll add your choice to our comparison list.